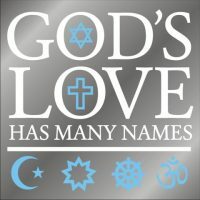 The words Peace be with you is a universal spiritual greeting that helps open the heart to the subtle message of the interlocking religious symbols. By the time they realize that the Cross is in the same circle as the Star & Crescent, the thought -be at peace- is already whispering in their subconscious. 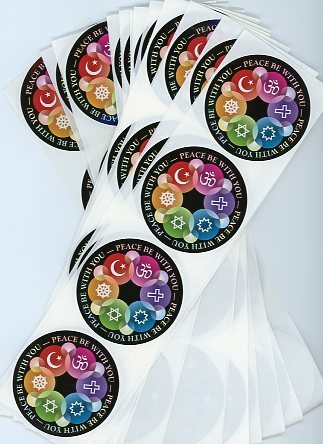 Full color, 2 ½” with a glossy UV coating. 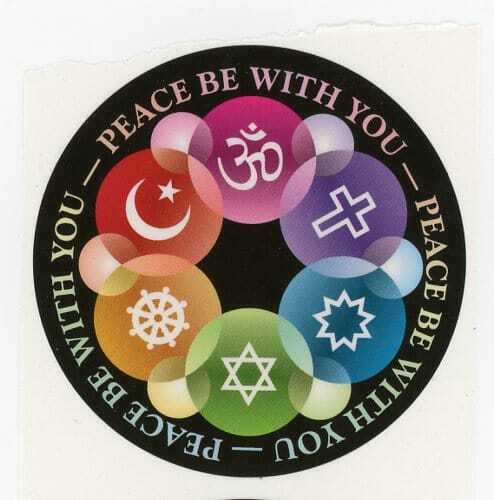 The words Peace be with you is a universal spiritual greeting that helps open the heart to the subtle message of the interlocking religious symbols. By the time they realize that the Cross is in the same circle as the Star & Crescent, the thought -be at peace- is already whispering in their subconscious. 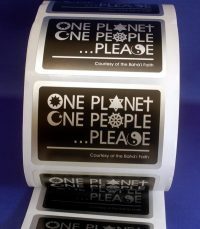 Combined with our new -One Light – Many Lamps- cards and posters, these stickers make a powerful statement. 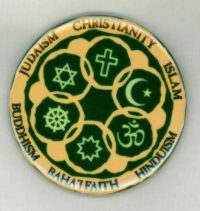 Combined with our Golden Rule materials, they are a non-threatening tool for interfaith fellowship. Use them anywhere you want to turn people’s thoughts to spiritual things. Full color, 2 ½” with a glossy UV coating. Sold in 100’s and 500’s.